Why Do We Say Costs Can Be "Footed" by Someone? 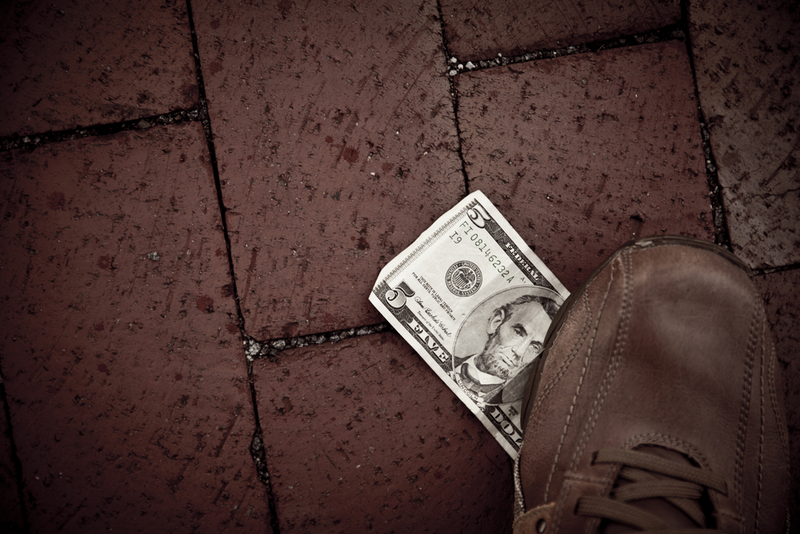 Ryan F. asks: Why do we say someone “footed the bill”? Turning a noun into a verb and then employing it in a way that seems completely out of context, the phrase “foot the bill” has long been used to mean paying the cost of something (that usually benefits more than one person). However, this relationship between your lowermost extremity and the cost or value of something goes back centuries, and even the oldest records read as if this usage had been going on for even longer. For example, as early as 1480, “foot” was used to denote the sum or total of an account in Wardrobe Accts. Edward IV where “The foote of the delivereeof stuff” was written. Most authorities agree that this meaning came about from the adding up of a column of numbers (such as in an account ledger) and putting the result at the bottom – or the foot. Related to the foot of the ledger is a variation meaning the standard rate or value, and this meaning goes back to at least 1588 when H. Oldcastel & J. Mellis wrote in Briefe Instr. Accompts, “[u]se one Foote or Standard of money in your accompt in you Leager.” This denotation was certainly clear by 1594 when it was written in Death of Usury, “[t]he man being dri[v]en to distresse, sels his corne farre [u]nder foote.” This variant also appears to have fallen out of use. Using the word “bill” to mean an invoice for goods or services dates back to at least 1420 when it was written “Pat [they] be paied of their billes for making off a liuerey.” This meaning was certainly clear by Charles Dickens’ time, when he wrote in 1836’s Pickwick Papers “call a hackney-coach . . . directly, and bring this lady’s bill.” “Bill” also has had a myriad of other meanings including a war weapon, a bird’s beak, a written document, letter or note, a policeman, to hack, chop or peck and to enter (into an account). One-quarter of all of the bones in the human body are found in your feet (52). Each foot also has 19 muscles, 33 joints, 107 ligaments and 250,000 sweat glands (and these last can excrete up to 8 ounces of moisture each day). Where Did the Expression “Foot the Bill” Come From and What Does it Mean?